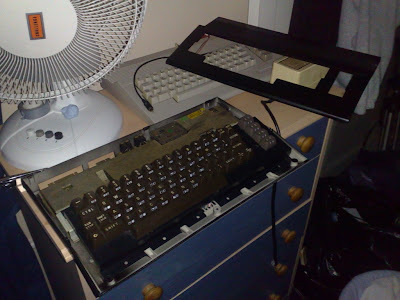 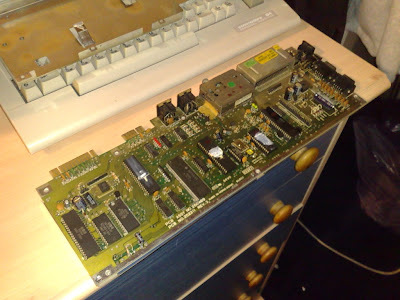 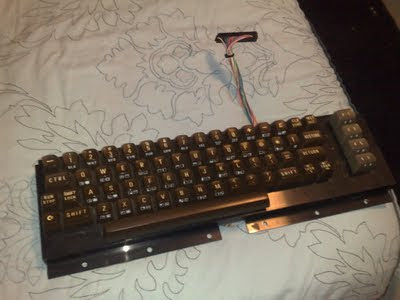 After removing the motherboard from the C64C (Thats another C64C that I own behind the motherboard). 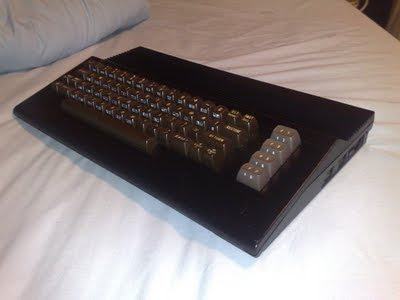 C64 Breadbin after having a C64C keyboard installed. 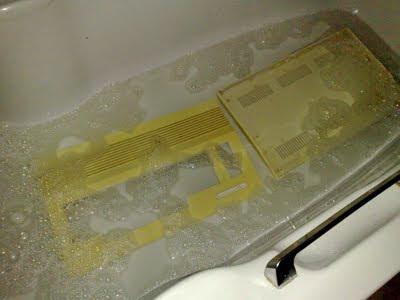 Before spray painting - A dunk in the bath, with bleach to clean and remove the yellowing. 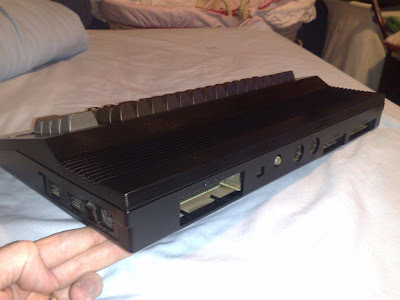 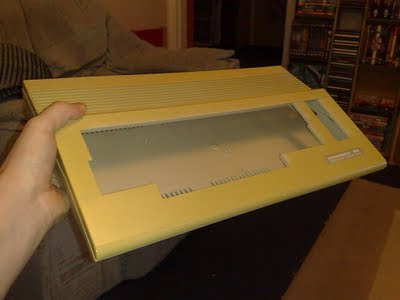 One clean (and less yellow) C64c case. 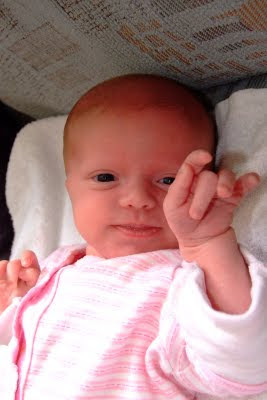 Shortly after this photo was taken, we were on our way to Cheltenham General Hospital. 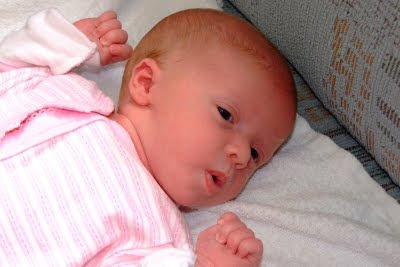 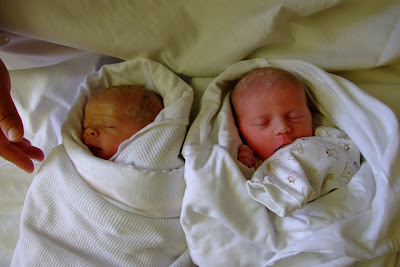 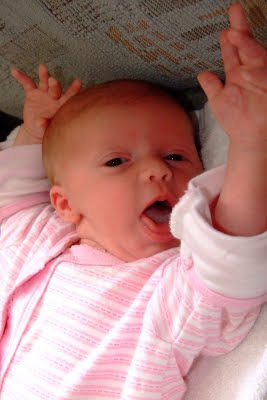 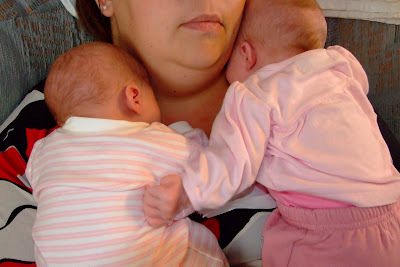 About 15 hours later, Sophie and Kayleigh were born!! 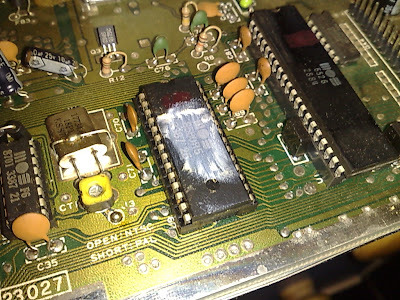 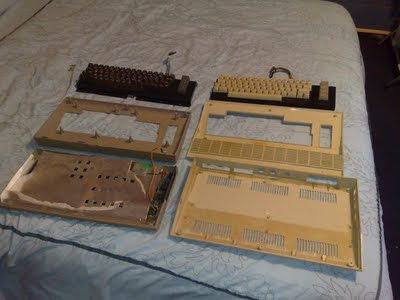 Several days later... After spraying the case, the C64 is ready to be reassembled. 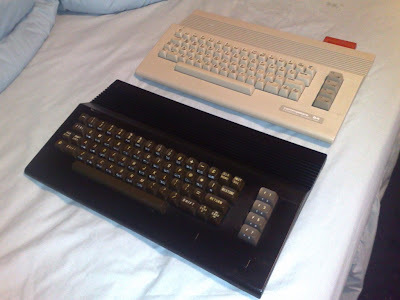 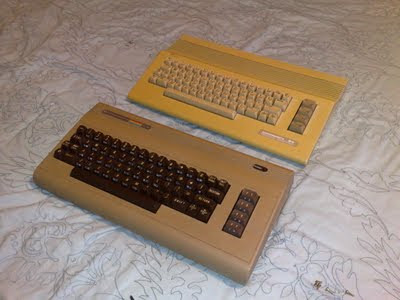 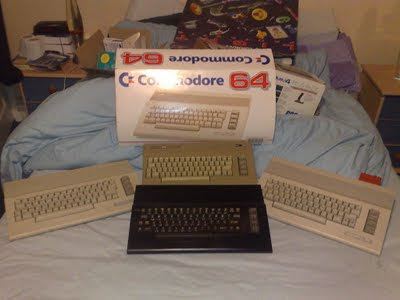 My current C64 collection - 1 black C64, 2 cream C64s and 1 Breadbin C64 with a C64c keyboard. 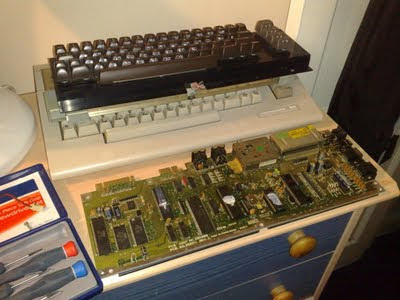 I also have an Action Replay V6 cartridge (red cartridge shown at the back of the right C64), and a C64TPC unit for connecting the C64 to my PC. 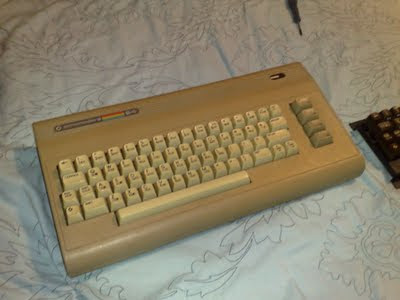 I have also just aquired a Commodore 1541-II disk drive. 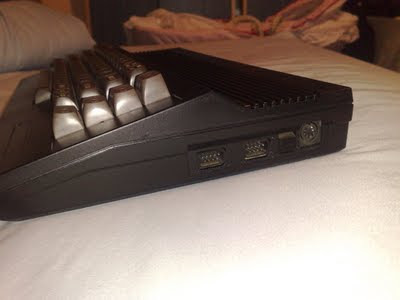 Plus tons of software/games etc. 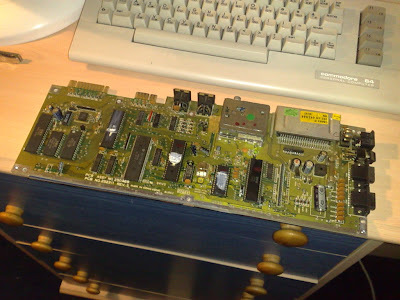 1x Amiga A1200 with a 2Gb harddrive + shedloads of tapes and disks full of games/applications/demos etc. 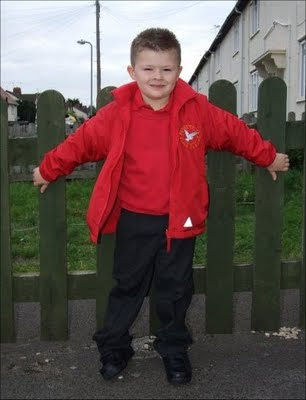 While I am posting, I thought I would also include a photo of Kieran in his new school uniform. 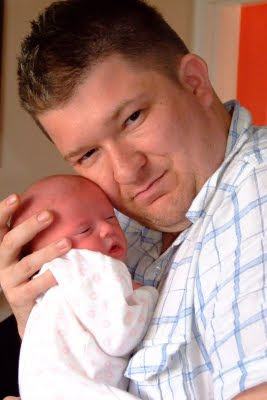 He started school last Monday at Bengeworth First School, and after a week, he absolutely loves going. 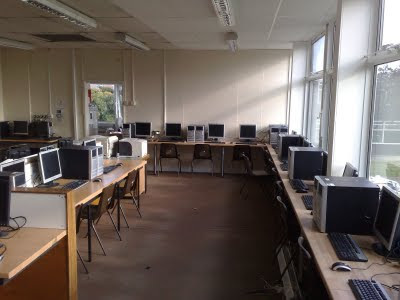 This is a classroom and it needs to be ready by Friday - No desks... no computers... no nothing! 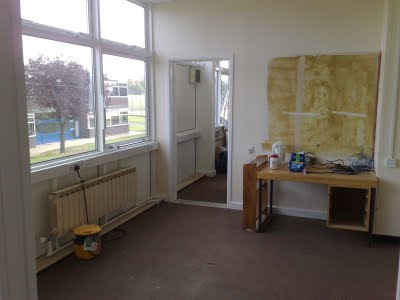 DU1 - The only room we have been able to get in to a 'decent' state. 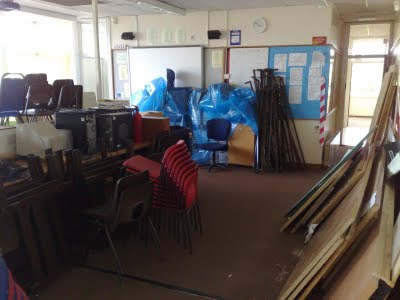 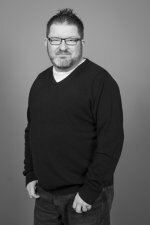 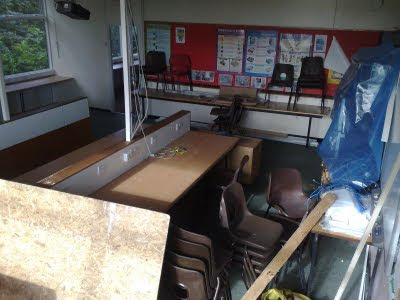 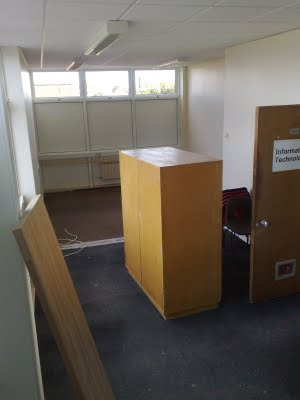 I love the way we were told at the start of the project that we would have 'plenty' of time to get the rooms ready for September - this includes any maintanance required, and the installations of Adobe CS4 and Microsoft Office 2007 on all the workstations. 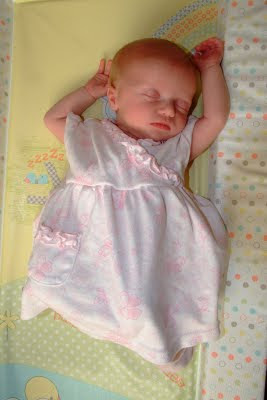 One month late... but here you go!